Large townhouse in Nundah with room for the boat or caravan! This incredibly unique townhouse in the heart of Nundah will not compare to any properties within the area. The absolute value for money in this renovated 3 Bed, 2 Bath & an unbelievable 4 car space is unimaginable and a rare find in the suburb. Find yourself within the HUB of Nundah’s boutique cafes, restaurants, bars & shop fronts. Woolworths, BWS, Pharmacy, Beauty Salons & GO HEALTH Nundah Fitness Gym. Plus Toombul Shopping Centre only 1.9km away and Westfield Chermside only 3.5km away – Everything you need is within your immediate surrounding. Transport is readily available with multiple bus-stops surrounding, the closest being Bus Stop #10 on Cavendish Street near Cameron Street providing access to Bus Line #306 to Cultural Centre, Grey Street & Nudgee, Queens Rd & Vincents Rd. Nundah Train Station is also within a 1km journey from your front doorstep. Nearby schools renowned Nundah State School and Aviation High. 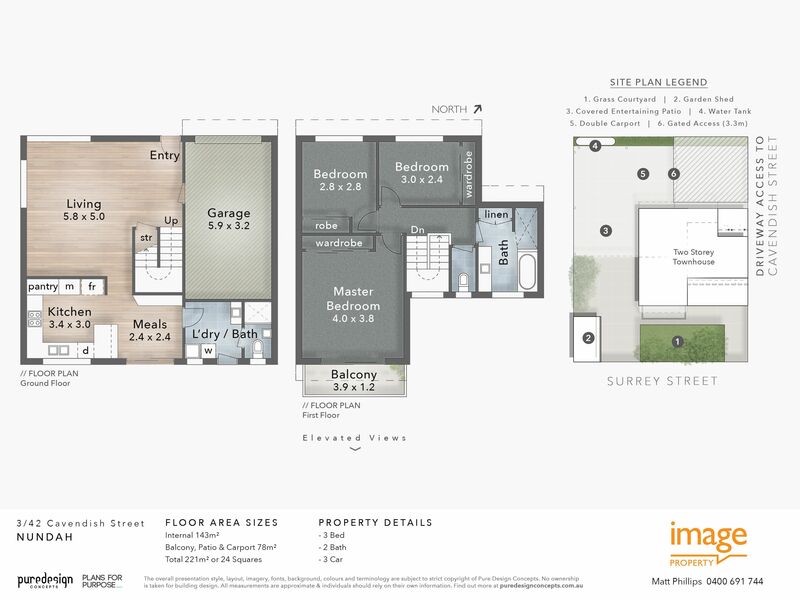 * Spacious modern kitchen with stainless steel appliances inclusive of a dishwasher, oven & rangehood. ample amount of storage within cupboards and large pantry. Benchtop doubling as a breakfast bar and Large fridge cavity. * Downstairs bathroom with shower cavity, toilet & separate powder room. * Main bedroom with split system air-conditioning, built in wardrobe and access to your own private Juliet balcony. * Upstairs bathroom with large shower cavity and separate bath tub. Ample storage/cupboard space within vanity. * 2nd bedroom well-sized with double door built in and ceiling fan. * 3rd bedroom well-sized with double door built in. * Large secure garden shed with power, lighting and shelving. * 3 metre remote controlled gate opening to a stencil concrete covered area that has parking for 3 + cars, boat, caravan. Contact Matt Phillips anytime to discuss 3/42 Cavendish Street, Nundah on 0400 691 744 and arrange to view this unique townhouse!